An October 2014 Pentagon report calls out Pakistan for its use of terrorist proxies in India and Afghanistan. The Pentagon released a report earlier this week that directly condemns Pakistan for its use of terrorist proxies against India. The report, titled “Progress Toward Security and Stability in Afghanistan,” is atypically candid and is intended for consumption by U.S. legislators. While a growing chorus of experts and former officials in the United States has remarked that the U.S.-Pakistan bilateral relationship is sliding into dysfunction and delusion, the U.S. government has generally kept things civil, refraining from overtly condemning Pakistan. U.S. officials, however, have long privately acknowledged Pakistan’s support of anti-India militant groups. Most notably, the United States’ former Chairman of the Joint Chiefs of Staff, Admiral Michael Mullen, testified that Pakistan’s Inter-Services Intelligence had links to the Haqqani Network. India, naturally, applauded the release of the report. The Indian Ministry of External Affairs remarked, “If the international community is saying Pakistan is using terrorists as proxies to counter Indian army then its welcoming [sic]. Issue of terrorism should not be segmented.” As one report in The Hindu noted, the release of this report following Narendra Modi’s visit to the United States could signal a coming rapprochement between the United States and India. Historically, Indian officials have remained skeptical of the United States given its long term support — both rhetorically and materially — for Pakistan. By acknowledging Pakistan’s use of terrorist proxies, U.S. officials are saying what Indians have long waited to hear. Amid worsening relations between India and Pakistan in recent weeks, the report will likely reverberate in both India and Pakistan. Earlier this year, in a speech in Kashmir, Indian Prime Minister Narendra Modi slammed Pakistan for its use of proxies against India. Specifically, Modi said Pakistan “has lost the strength to fight a conventional war, but continues to engage in the proxy war of terrorism.” Given Modi’s comments and this Pentagon report, it appears that both the United States and India are starting to arrive at a common understanding of Pakistan’s use of proxy groups. The report also acknowledges the Pakistan’s role as an inhibitor for stability in Afghanistan — a significant admission ahead of the United States’ military withdrawal from that country at the end of this year. The report praises India’s role in aiding Afghan reconstruction as well. Pakistani officials were unequivocal in their condemnation of the report. 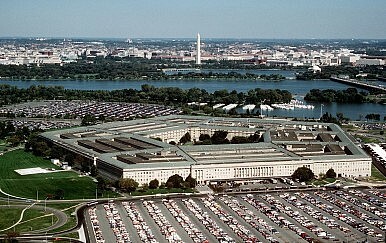 The Pakistan Foreign Office released a statement noting that “the Government of Pakistan takes serious exception to comments contained in the U.S. Department of Defense report sent to the Congress under the title ‘Progress Towards Security and Stability in Afghanistan’.” “While noting Pakistan’s cooperation with the U.S. in areas of mutual interests, the recently-released report also carries unsubstantiated allegations of the existence of terrorist ‘sanctuaries’ or that proxy forces are operating from here against Afghanistan and India,” it added. “Such allegations are of particular concern at this point when Pakistan government has launched comprehensive operations against militants in North Waziristan. The military operation ‘Zarb-e-Azb’ has been broadly welcomed internationally, including in the U.S.,” the report continued. The entire report is available at the U.S. Department of Defense website. I’ve excerpted some revealing passages here. Afghan- and Indian- focused militants continue to operate from Pakistan territory to the detriment of Afghan and regional stability. Pakistan uses these proxy forces to hedge against the loss of influence in Afghanistan and to counter India’s superior military. These relationships run counter to Pakistan’s public commitment to support Afghan-led reconciliation. Such groups continue to act as the primary irritant in Afghan-Pakistan bilateral relations. In May of this reporting period, the Indian consulate in Herat Province was attacked by a group of four heavily armed militants. The attack came three days prior to the swearing in of the new Indian Prime Minister, Narendra Modi. India supports a variety of high-visibility projects and initiatives in Afghanistan. These ventures are focused primarily on major infrastructure projects, including electricity generation and transmission, road construction, and mining. India has shown increased interest in Afghan security assistance, though activities in this area remain limited. India currently offers India-based training to ANSF personnel across a number of specialties, and the Indian government committed to expand this program. India does not provide direct military support or training in Afghanistan. However, suspicion has surrounded the relationship between Kabul and Islamabad, inhibiting bilateral cooperation on border security protocols. It is possible that the new Afghan President, Dr. Ghani, will seek to change this dynamic, which Pakistan is likely to welcome. Although stability in Afghanistan is in the interest of Pakistan, Pakistan also seeks sufficient Pashtun representation in the Afghan government to prevent Pashtun discontent along the Afghan-Pakistan border and limit India’s influence. The report might make for a refreshing read coming from U.S. government offices, but don’t expect it to affect policy.